I have a bit of a "thing" for barns. After living in the midwest for over a decade, I've come to appreciate their contribution to the prairie landscape. I've learned there is no such thing as a "typical barn" whether it be size, shape or color. 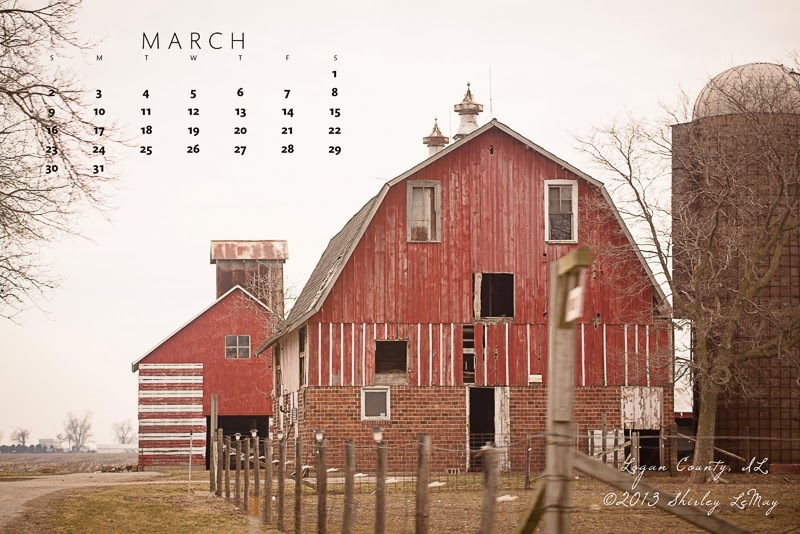 I hope you enjoy this month's desktop calendar - a bit of my back yard. This is a gem of a barn - gorgeous. Thank you for the calendar share. Great find. I might need an "I stop for barns" bumper sticker!